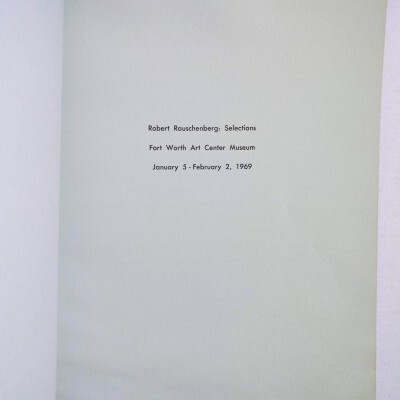 Rauschenberg, Robert. 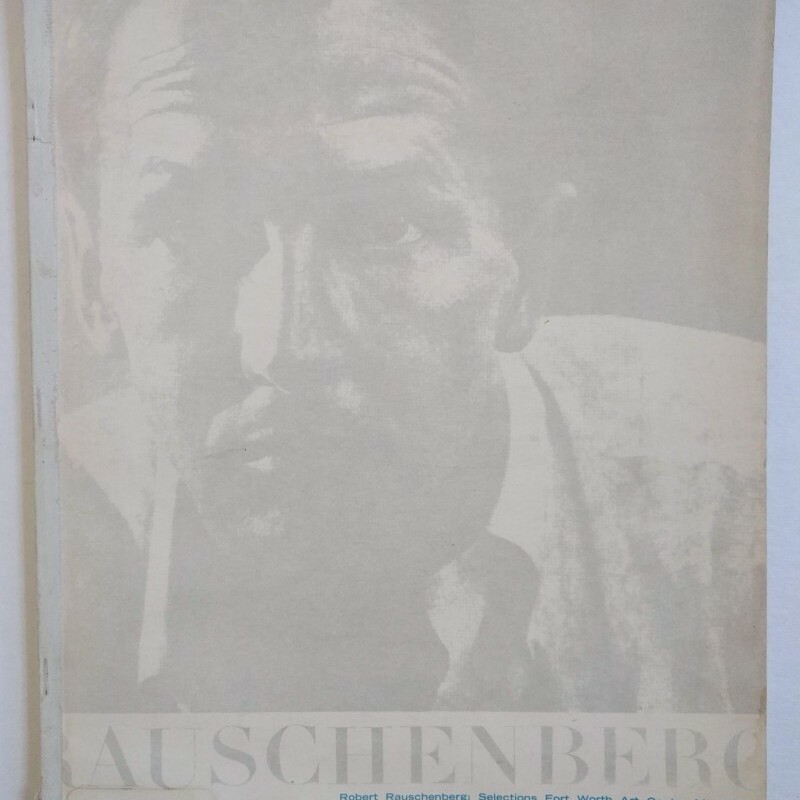 Rauschenberg: Selections. 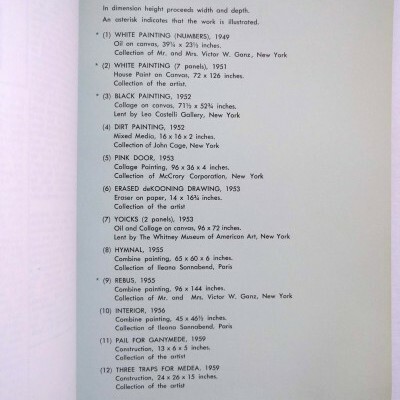 Catalogue of an exhibition held at the Fort Worth Art Center Museum, January 5 – February 2, 1969. Fort Worth, TX: Fort Worth Art Center Museum, . 4to,  leaves, incl. intro, descriptive and critical “collage,”  plates with b/w reproductions of artworks from the exhibition, exh. checklist, and bio, some sl. ; in orig. pictorial wraps, spine reinforced with tape, splitting at foot; ex-library with shelf mark sticker to front cover. In a short intro, the museum’s director, Henry T. Hopkins, writes that he wanted to bring a substantial exhibition of the artist’s work to the state where he was born (and where it had rarely been seen). 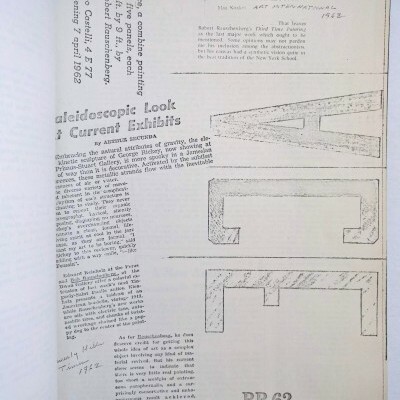 After meeting the artist to discuss the catalogue and face the “vexing problem of more words on art,” they decided to create a kind of collage of previously published writing. 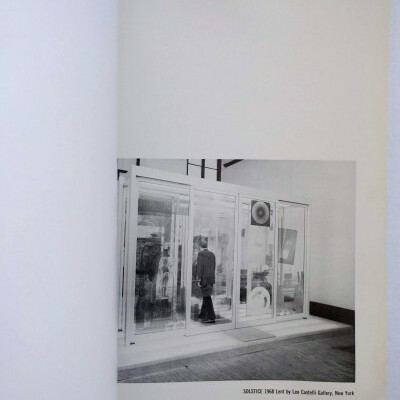 “Ideally the mild frustration produced by reading it will be a reminder of the interplay between art and life and as such, a reflection of Rauschenberg’s chosen realm. 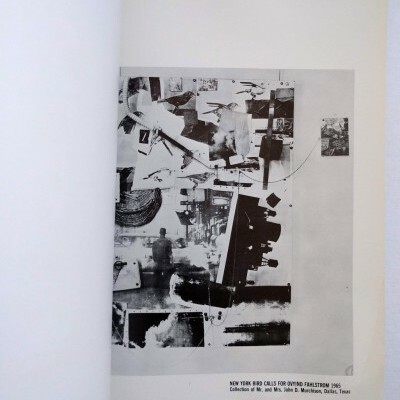 Rauschenberg put similar ideas to work in his well-known Abrams monograph, published the following year.